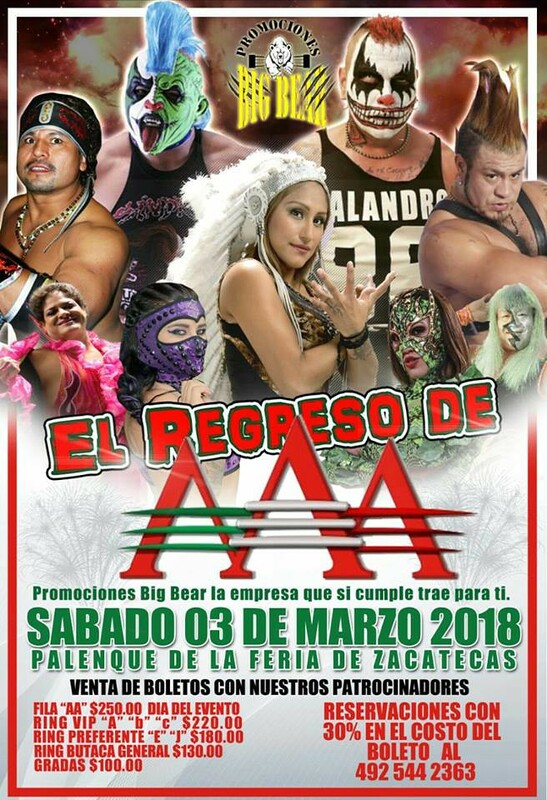 2) Angelikal & Hijo Del Vikingo b Ángel Mortal Jr. & Villano III Jr.
Mario Mora formed a new anti-Rubio, anti-AAA faction after the match. 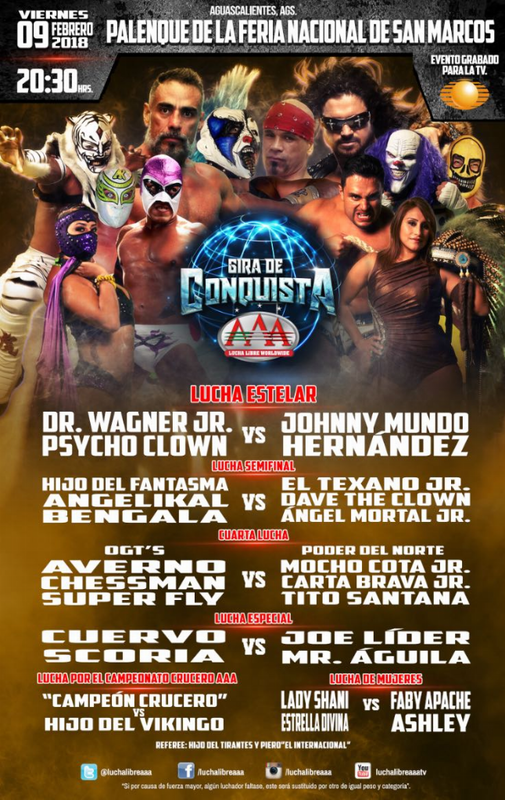 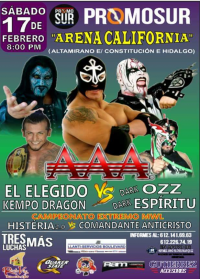 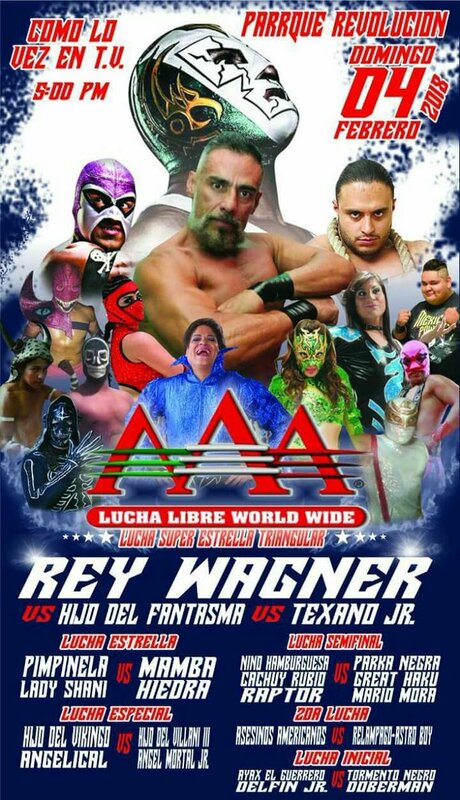 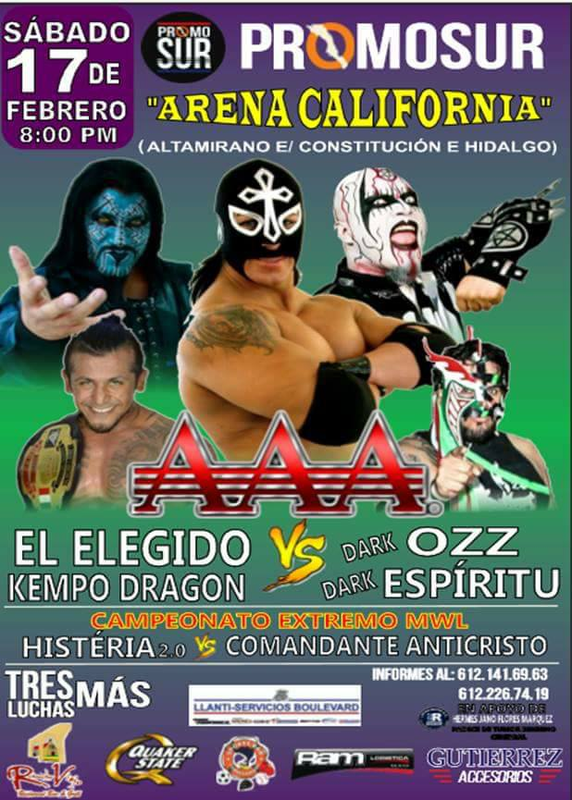 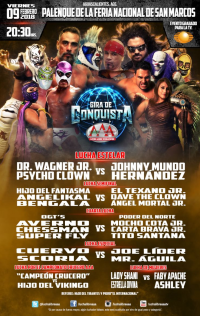 5) Dr. Wagner Jr. b Hijo del Fantasma, Texano Jr.
6) Rey Wagner vs Hijo del Fantasma, Texano Jr. Team Vader (!) 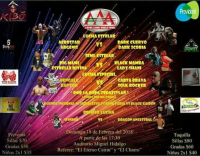 won falls 1/3. 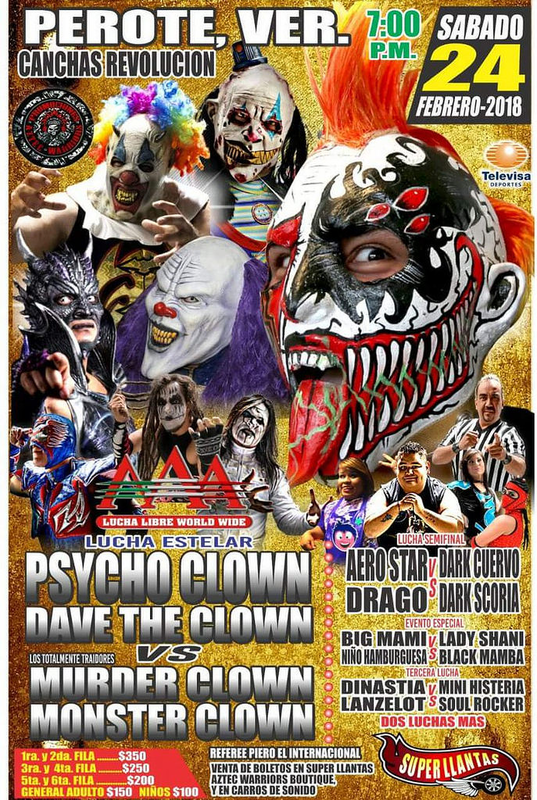 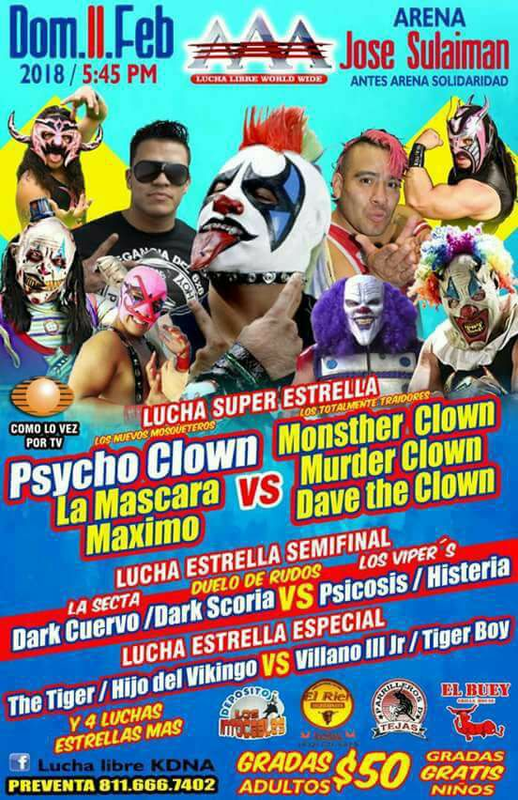 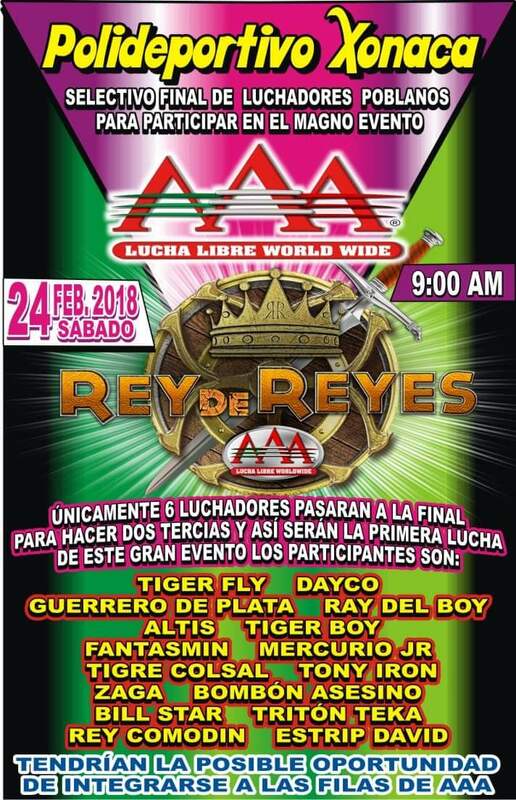 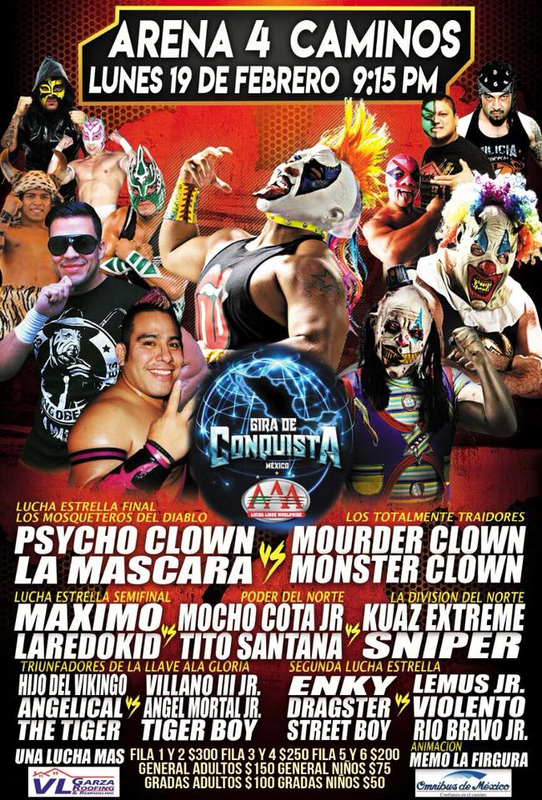 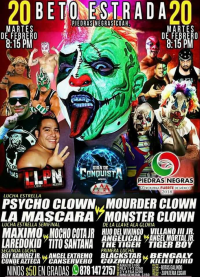 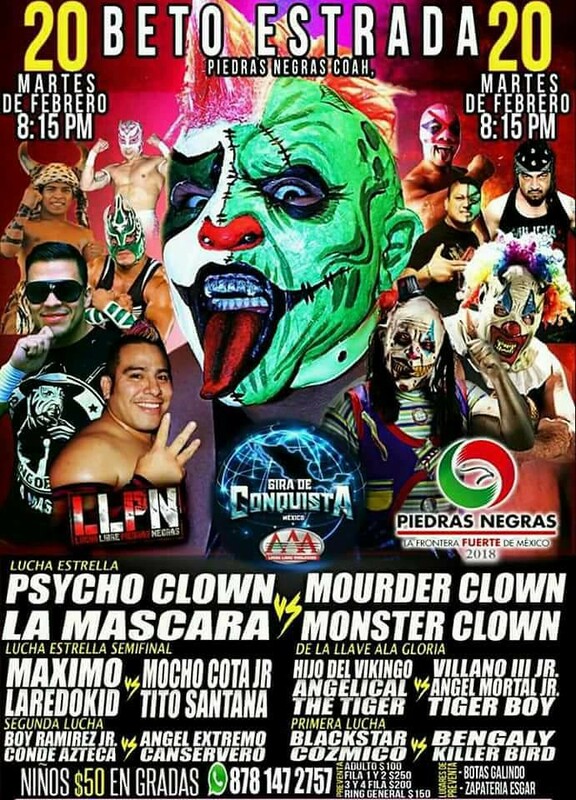 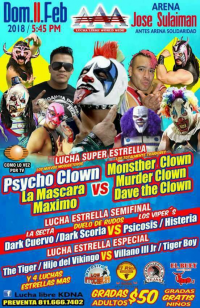 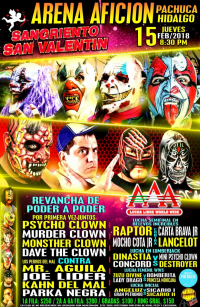 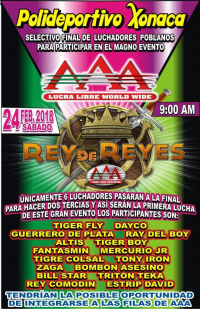 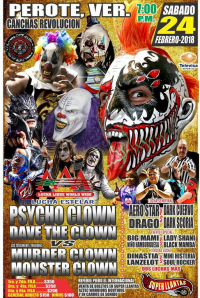 3) Cyberpayaso, Destructor (Coahuila), Mortifero b El Nazi, Harry El Sucio, Súper Vaquero Jr.
5) Hijo Del Vikingo & The Tiger b Tiger Boy & Villano III Jr.
Tecnicos toko 2/3. Vikingo wrestled in a neck collar (so his bad fall on Friday probably left him hurt.) Burrito helped out his team. 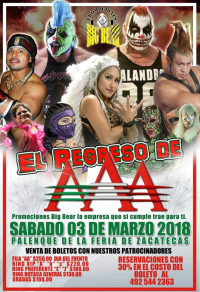 Alvarados took 2/3, the last after a lot of fouls. 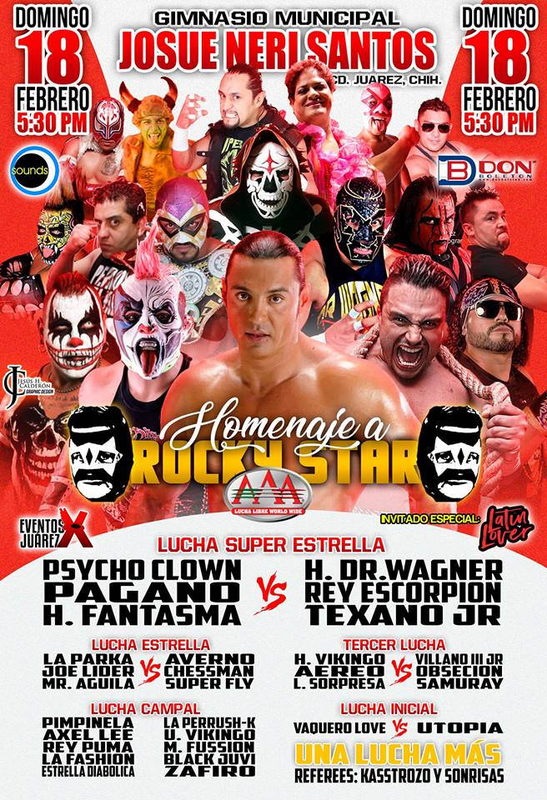 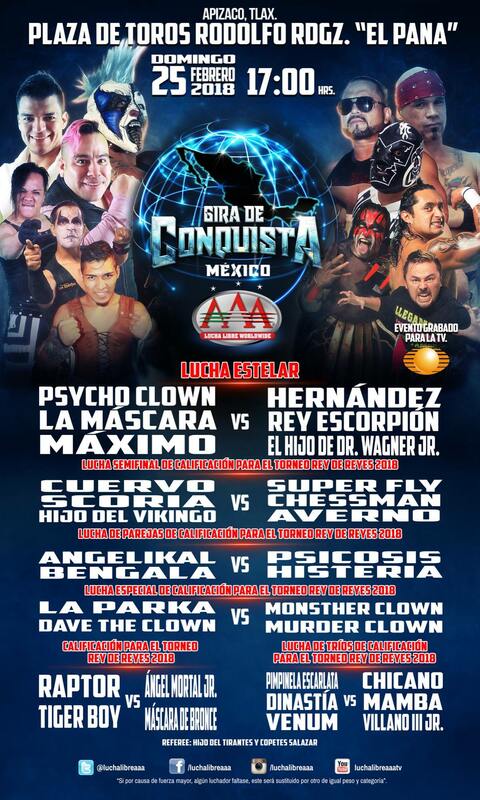 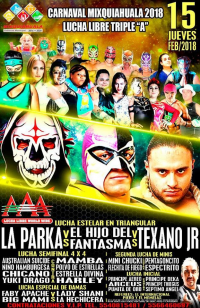 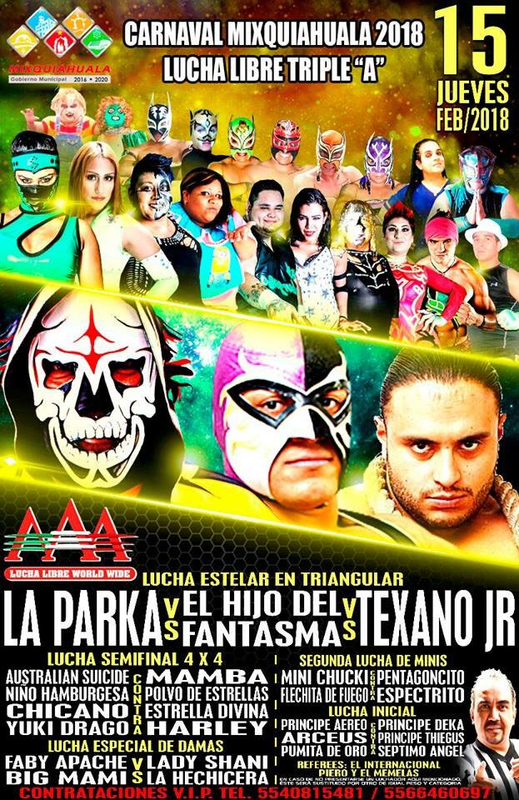 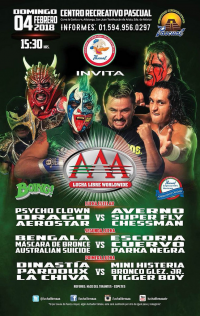 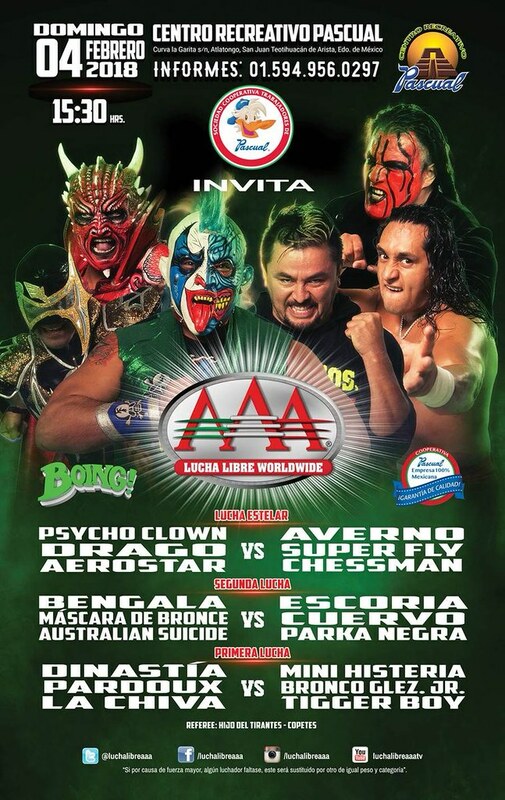 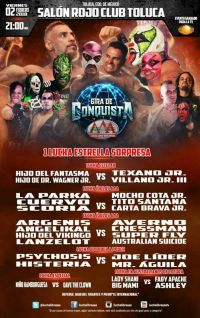 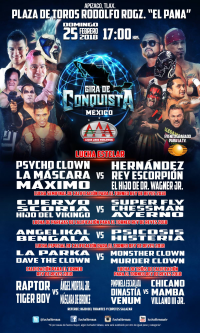 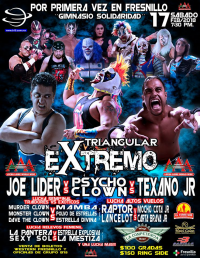 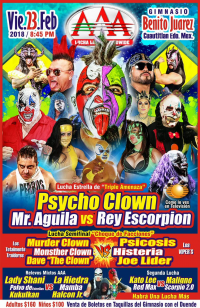 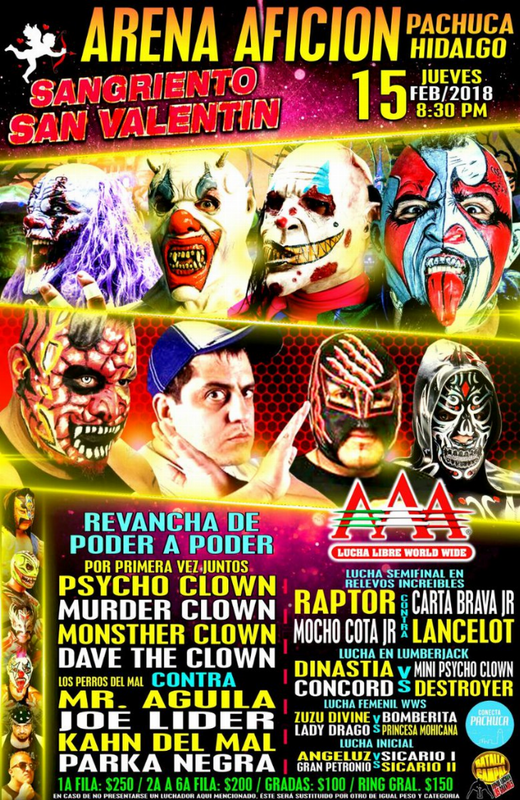 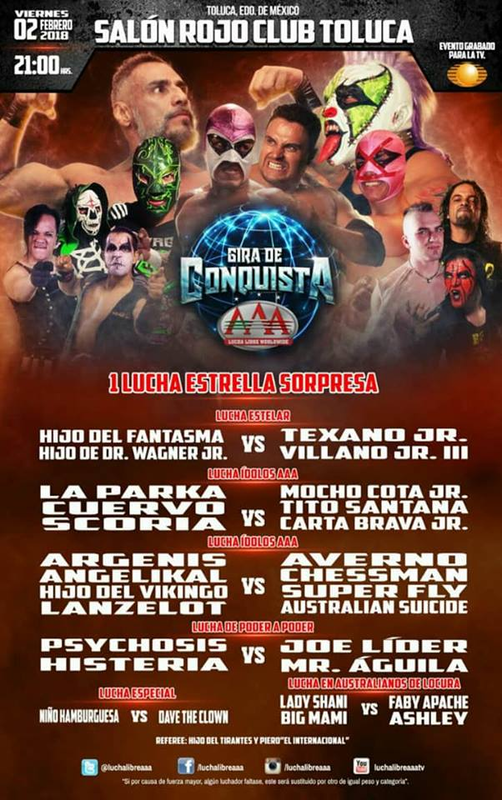 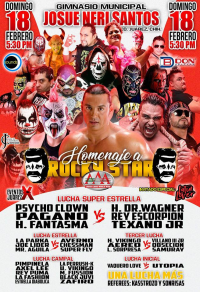 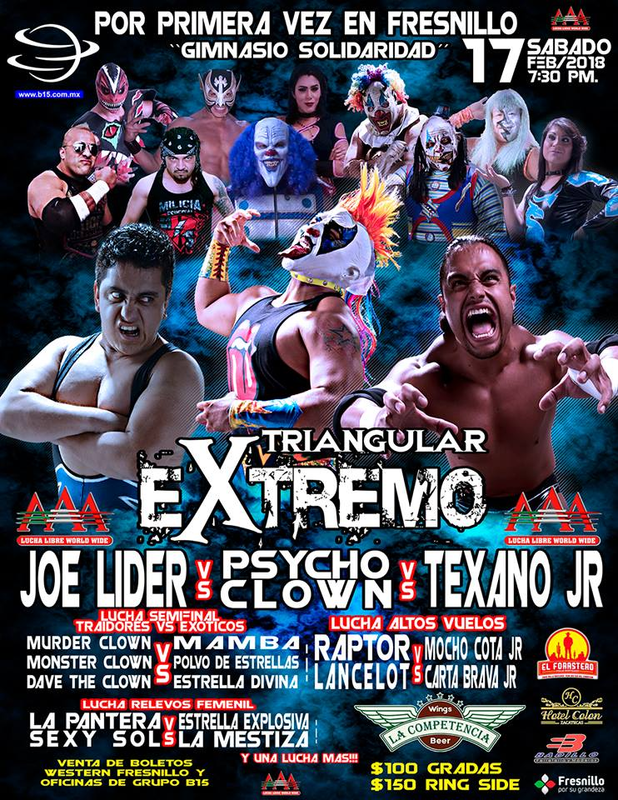 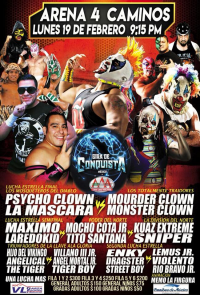 5) La Parka vs Hijo del Fantasma, Texano Jr.
2) Lancelot & Raptor vs Carta Brava Jr. & Mocho Cota Jr.
4) Psycho Clown b Joe Lider, Texano Jr.
3) ?, Aéreo, Hijo Del Vikingo vs Obsescion, Samuray, Villano III Jr.
5) Hijo del Fantasma, Pagano, Psycho Clown vs Hijo del Dr. Wagner Jr., Rey Escorpión, Texano Jr.
Psycho was about to win when Monster & Murder ran into help Escorpion. 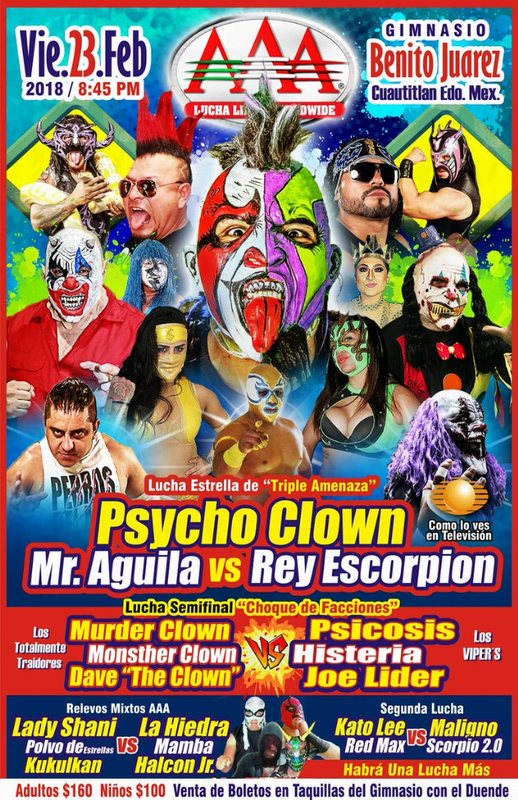 They celebrated too soon and Psycho still small packaged Escorpion for the win.